You shouldn’t have done it, but when the server asked, you said: “Extra spicy, please.” Now your stomach is churning, so you reach for the Alka-Seltzer. Hold on a second, says the U.S. Food and Drug Administration, and read the label first. Why? In a new warning, the FDA notes that some antacids contain aspirin, which can cause stomach or intestinal bleeding in some people. Most people already know that aspirin can increase the risk of bleeding. And aspirin products list bleeding as a potential risk of taking them to relieve pain. While products that contain aspirin carry consumer warnings on the label, the FDA said a search of its Adverse Event Reporting System database found eight cases of serious bleeding following the use of such products. All eight patients were hospitalized and each had underlying conditions that put them at greater risk. That prompted the FDA warning. In addition to issuing a consumer warning, the FDA says it will ask a panel of experts to advise whether it should do more, such as adding additional warnings to the labels of aspirin-containing products, or requiring current warnings to be more prominent. The agency also called on consumers to report side effects from over-the-counter, aspirin-containing products to the agency’s MedWatch program. For more background and details about the FDA’s warning, read the agency’s drug safety statement. If you’re concerned about damage you may have suffered from taking aspirin products, or would like to discuss the risks, talk to your provider. 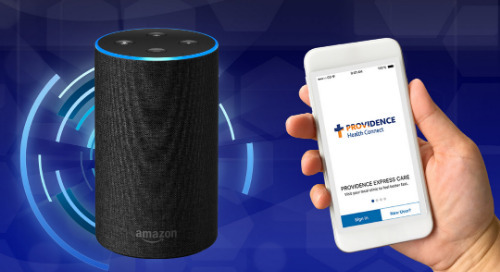 If you don’t have a provider, you can find a Providence provider here.